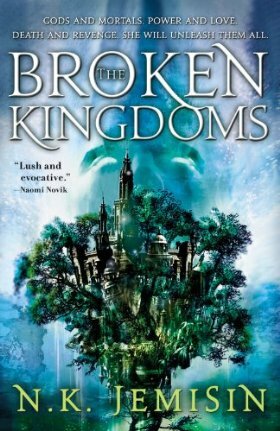 Yesterday I received a review copy of one of my most anticipated releases of this year, The Broken Kingdoms by N.K. Jemisin. Today I got a second copy of the book in the mail so I’m giving away my extra copy. This is a not an ARC – it is the finished copy of the book, which will be released on November 3. If it sounds interesting or if you just can’t look away from that gorgeous cover and want to win a copy, fill out the form to enter. Note: The contact form that used to be here has been removed since the giveaway is over. This giveaway is open worldwide – it does not matter where you live. Entries will be accepted through the end of the day on Friday October 29 and the winner will be selected randomly and contacted on October 30. If I do not get an address to send the book to from the winner by November 2, a new winner will be selected. Good luck!